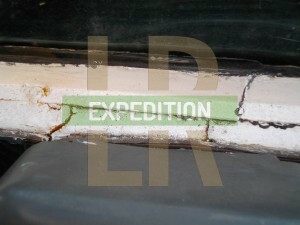 My rear door has been slowy rattling, creaking and breaking more and more. The weight of a Wolf wheel on the back certainly doesn't help. 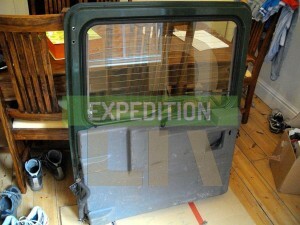 Cracks have appeared around the common breakage point near the wiper motor spindle and having reviewed what my spare wheel capacity would be on expedition, i've decided the fit a new door. 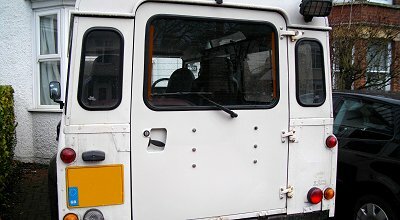 Post 2002, Td5 (and 300Tdi ROW) Defenders were fitted with an upgraded rear (tail) door. 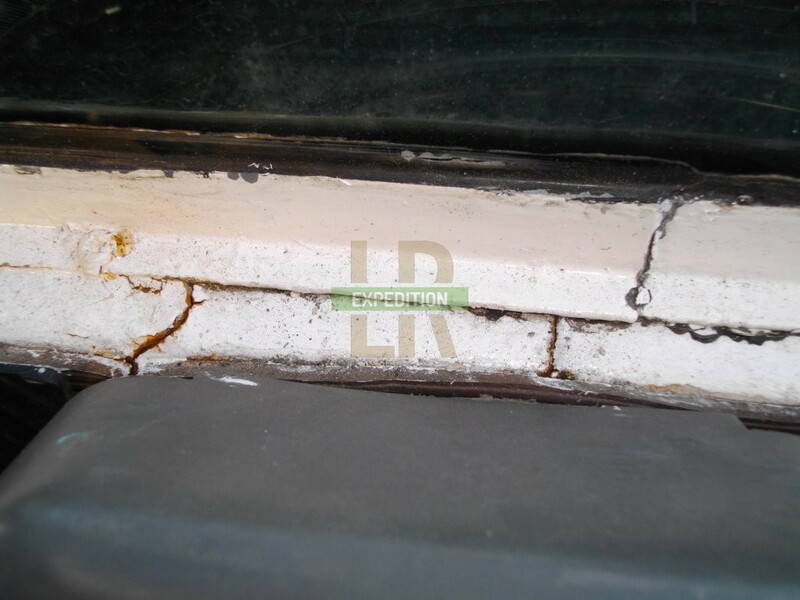 It is constructed from a single pressed piece of steel (instead of the older welded frame) and having no outer aluminium skin is resistant to bimetallic corrosion, although potentially more prone to rust. The structure was strengthened so it is better able to cope with the weight of the rear spare wheel and the glass held in by a continuous rubber seal instead of aluminium strip braces. These doors are a desirable upgrade so finding one is not easy. Having kept my eye out for about 8 months, one appeared on eBay just as I had sold some other bits. Flush with cash, I bought it. The downside is that it's green, a bit scratched and the trim is knackered - but this made it cheaper and at least I now have one. It came with a heated screen, wiper + motor, and the loom. My Station Wagon already has these features already so luckily a lot of the wiring is there. 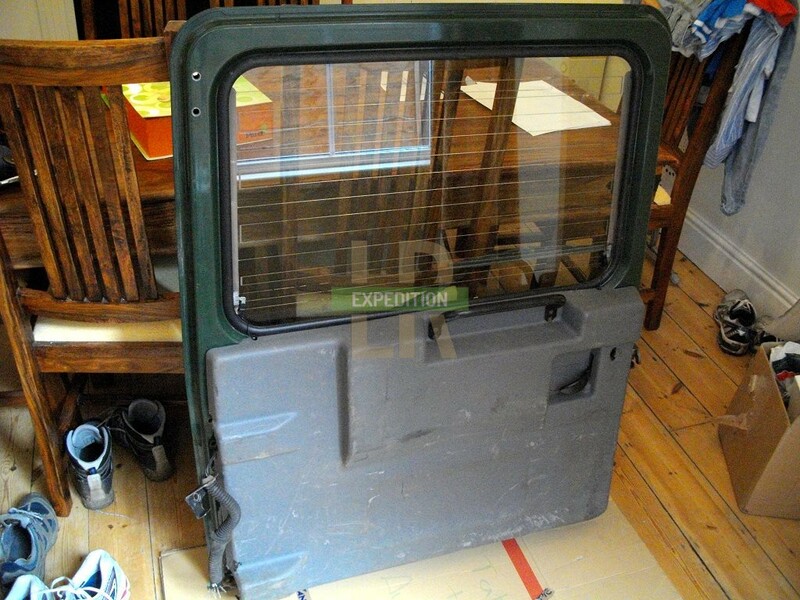 I have given the door a complete overhaul ready for fitting to my Defender, and I will be detailing here the stages I went through and the things I came across replacing my broken door with this newer type.